Meals For . . . Stacey and Rob Schlissel scroll down to sign up... Admin Password: GO! Edit Notes • Print Notes Notes from Jordana Golden . . .
Mazal Tov to Stacey and Rob Schlissel on the birth of a baby boy! 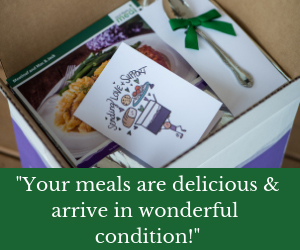 Thank you for helping them adjust as a growing family with some delicious and nourishing meals. All meals should be certified kosher or cooked in a kosher kitchen. If you've any questions about those dietary restrictions, don't hesitate to reach out to Stacey or Rob. If you're not able to cook and drop off, Seamless gift cards are also much appreciated. Please note this TakeThemAMeal website is an external site used by Darkhei Noam to coordinate meals and is not a site run by the Shul. Any associated ads are not necessarily for Kosher vendors and shouldn't be used to provide meals for our families.